Sure, having a lot of followers is great. It makes you feel “important,” But, if those followers are not engaged with your brand, they are simply window dressing. The people you want to pay attention to are the ones who engage, share, and comment on your posts. Do you know the who and why of your social media followers? Are you drawing in the right readers, followers, influencers, and sharers? If not, here are some things you can do to monitor your followers and to increase engagement with your target market. Your business goals. If they are not supporting a business goal, then make some adjustments. Reaching your target market. If you know that age, interests, media, and hashtags your target market uses, then leverage that information to build the strategy. Monitoring metric. Know what’s happening with your efforts. If you don’t know which metrics to monitor, check out this article from Hootsuite. Based on social media metrics, refine the content you’re posting to your platforms. Carefully consider the images you’re using; the text/copy that’s being shared; and the links to other, similar content. Do those things resonate with your brand, your audience, and their likes/dislikes? On just about any social media platform today—especially Facebook, you can pay to make your posts more visible to your target market without spending a lot of money. 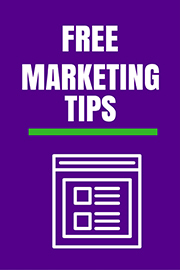 However, be aware of the differences between boosting and sponsoring content. They are slightly different and may give you a different result. Test both at first to determine which works best for your brand. Then develop a monthly strategy to engage new people. Finally, no matter the approach you take, keep things organized and relevant. If you have multiple people sending content posts, have them meet weekly to formulate a plan and to identify the right paid content for the week and/or month. What’s your biggest social media challenge? How do I know if my social media efforts are working?